Strakka Racing’s line up for its inaugural visit to Bathurst next February will see the team benefit from local experience of the Mount Panorama circuit after signing Virgin Australia Supercars Championship front-runner Cameron Waters. Waters, who paired with Richie Stanaway to win the Sandown 500 this year, will partner Strakka regulars Nick Leventis, Lewis Williamson and David Fumanelli. The second car line-up will be confirmed in the coming weeks. “I’m really excited about doing the 2018 Bathurst 12hr with Strakka Racing,” says Waters. “It’s great to have Cameron with us for our Mercedes-AMG debut,” says racing director Jay Davenport. 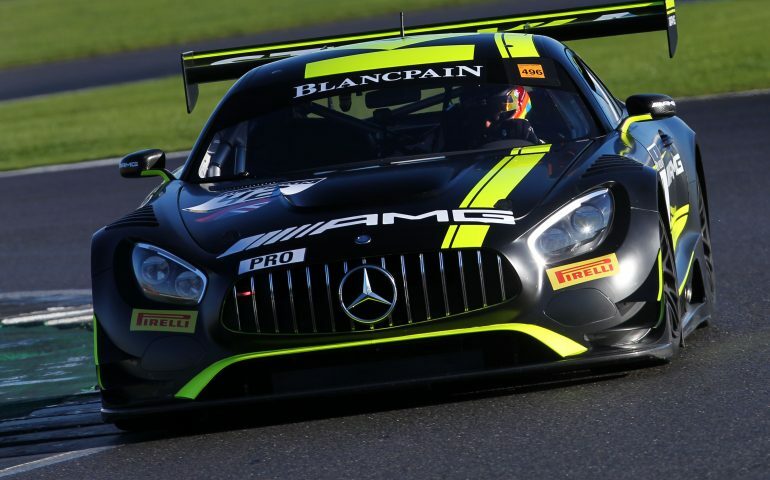 To date Strakka has run the first of its AMG GT3 chassis at Barcelona and Silverstone, getting the chance to complete over 130 laps in both wet and dry conditions. “The car has been perfect, it ran straight out of the box and both Lewis and Nick who have tested the car have both said it feels responsive and well-balanced,” concludes Davenport.